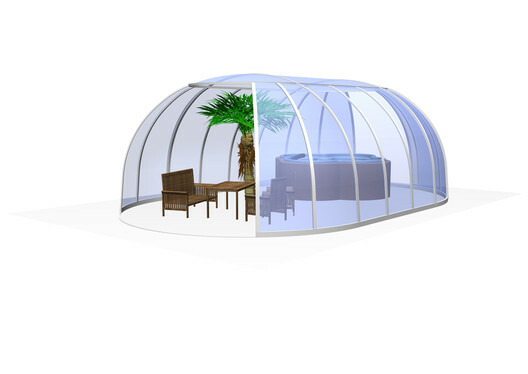 As the only company who sell this model of enclosure we offer long-term active after-sales service of our pool, patio and hot tub enclosures. 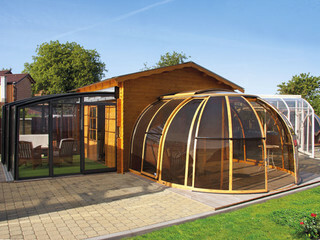 Enjoy a comprehensive range of benefits that no other manufacturer can offer. 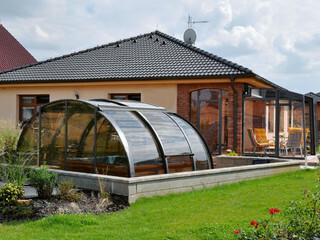 The Oasis is connected to your property giving you countless options, the main one being you don’t have to step outside. 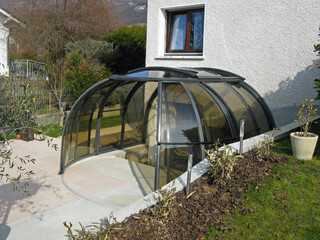 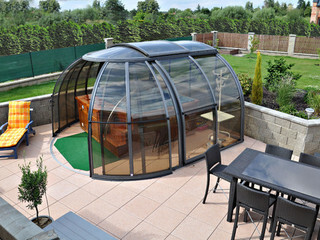 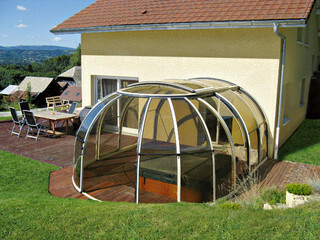 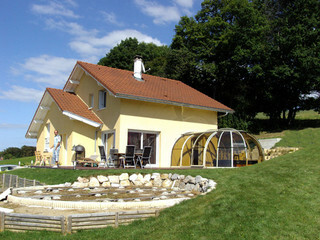 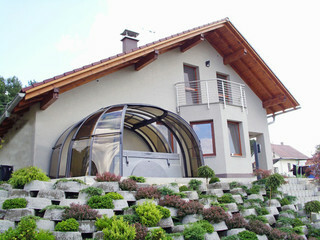 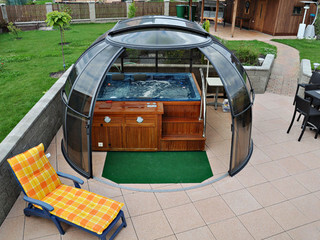 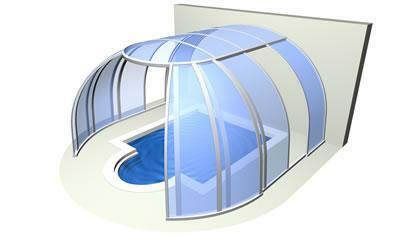 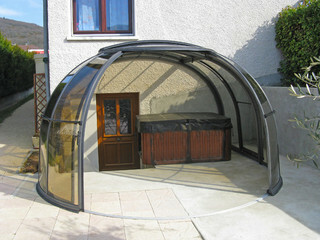 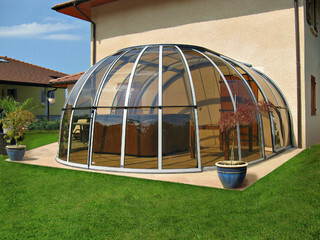 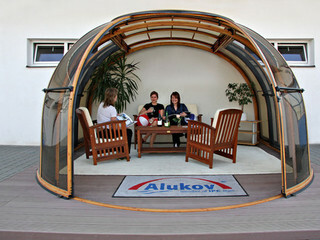 Imagine walking from your house straight into your hot tub, spa or pool while being under cover all the time. 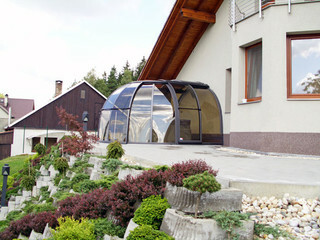 With two doors, a sliding roof top to assist with ventilation and aluminium profiles made in a colour to match you property. 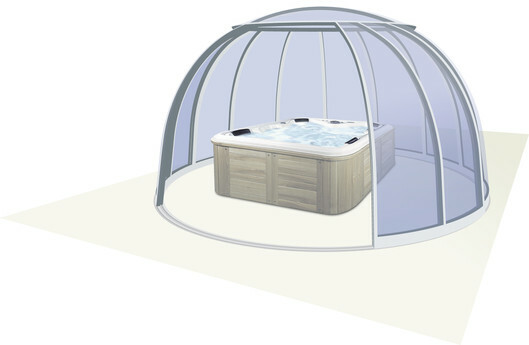 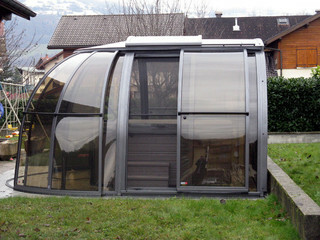 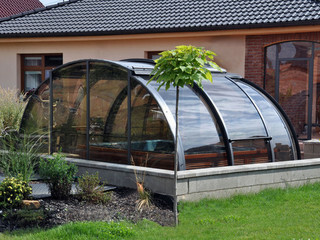 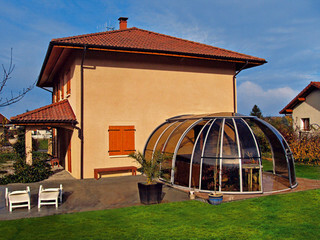 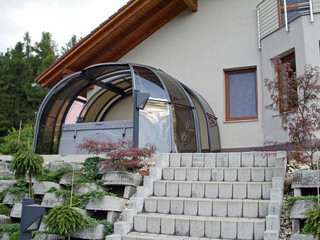 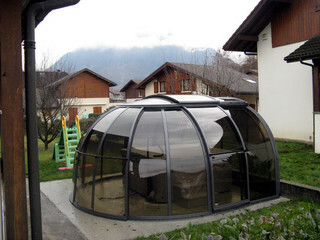 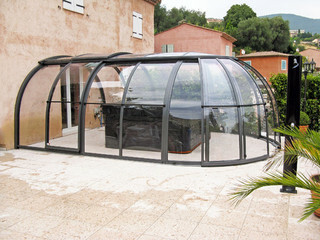 Hot tub enclosure Oasis allows you to step right into the comfort of your ‘spa room’ without venturing out into the elements.